Ordnance is prepared for an F-35B Lightning II short takeoff/vertical landing aircraft on the amphibious assault ship USS America. The F-35B Marine variant just completed important developmental tests designed to push the joint strike fighter to it’s limits aboard the US’s newest aircraft carrier, the USS America. The F-35B proved it can perform its short takeoffs with a variety of weapons loadouts, some of which can be asymmetrical. These tests had been done on land before, but carrier takeoffs are a different beast. An F-35B taxis on the flight deck of USS America on October 31, 2016. 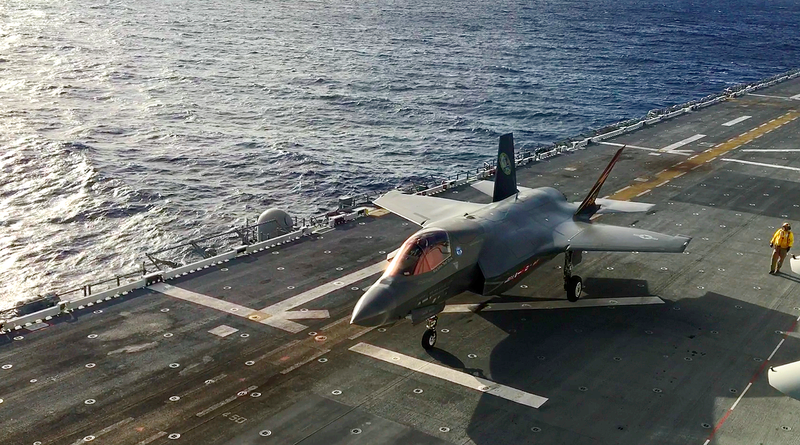 “There is no way to recreate the conditions that come with being out to sea,” than going out there and testing onboard a carrier, said Gabriella Spehn, a F-35 weapons engineer from the Pax River Integrated Test Force in a Navy statement. But even at sea aboard the America, which can get up to 25 mph, the F-35B performed as expected. “As we all know, we can’t choose the battle and the location of the battle, so sometimes we have to go into rough seas with heavy swells, heave, roll, pitch, and crosswinds,” said Royal Air Force squadron leader and F-35 test pilot Andy Edgell. International partners, like Edgell, participated in the testing onboard. While other nations lack the large deck aircraft carriers that the US has, several other nations, like the UK and Japan, operate smaller carriers that await the F-35B. “The last couple of days we went and purposely found those nasty conditions and put the jets through those places, and the jet handled fantastically well. 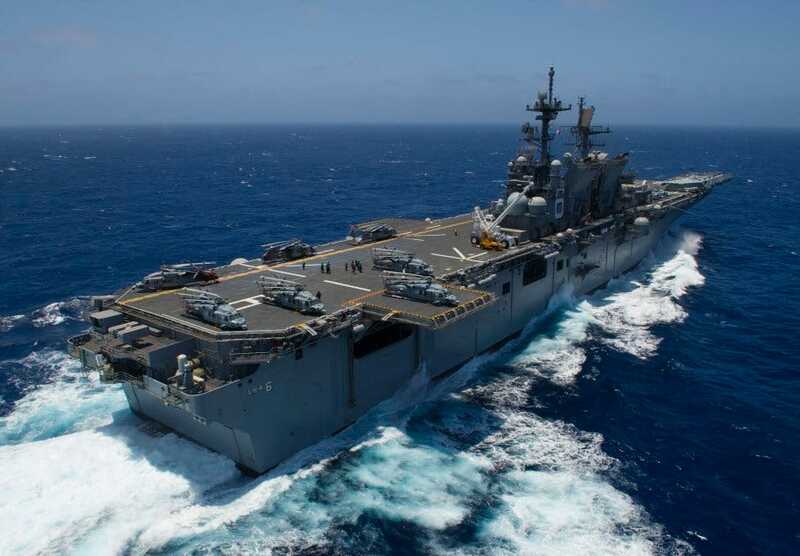 So now the external weapons testing should be able to give the fleet a clearance to carry weapons with the rough seas and rough conditions,” Edgell said. However, another first occurred on board. The America’s weapons department assembled over 100 bombs for the F-35B to carry. For many of the sailors in the Weapon’s Department of the America, part of a new class of US carriers meant specifically to accommodate the F-35, this was their first chance at actually handling and assembling ordnance. Sailors assigned to the amphibious assault ship USS America and F-35B Lightning II Marine Corps personnel prepare to equip the aircraft with inert 500-pound GBU-12 Paveway II laser-guided test bombs during flight operations. “Being able to do this feels like we are supporting the overall scope of what the ship is trying to achieve. Without ordnance, to us, this ship isn’t a warship. This is what we do,” said Petty Officer 1st Class Hung Lee. According to sailors on board, the team went from building one bomb in four hours, to building 16 in three hours. After a troubled road filled with cost overruns and setbacks, the F-35B finally appears to be nearing readiness. The amphibious assault ship USS America conducts flight operations while underway to Rim of the Pacific (RIMPAC) 2016.